Nothing’s better than free food. You know that feeling you get when you’re hungry, you walk through the food court at the mall and an employee hands you a yummy morsel of chicken on a toothpick? SO GOOD. On the theme of free food, Ibotta has a yummy deal going this summer. It’s offering $3 cash back for any appetizer from any restaurant. OK, so it’s not totally free. But if you play your cards right, it’s close to free. And it makes us want all the appetizers — all the crab cakes, all the potato skins, all the coconut shrimp. Ibotta, by the way, is an app that gives you cash back on purchases from your favorite stores and restaurants. To get the biggest bang for your buck from this offer, try deal stacking it with half-price appetizers. Order the mozzarella sticks or the spinach-artichoke dip, which are each $7.99. Half of that is $4. A $3 rebate from Ibotta makes it $1. Even if you’re not stacking this offer with some kind of half-price apps deal, this new Ibotta offer is worth noting. Not only do you get $3 off an appetizer, but you can use it at any restaurant, and no other purchases are necessary. That’s fairly rare. The biggest catch: The offer’s only valid in 11 states — Alabama, Hawaii, Indiana, Maine, Mississippi, Missouri, Montana, New Jersey, Oklahoma, Virginia and West Virginia. The offer ends Sept. 5. Again, deal stacking is your friend here. To be a Jedi-level Penny Hoarder, look for a good deal on appetizers, then stack Ibotta’s $3 cash back offer on top of that deal. 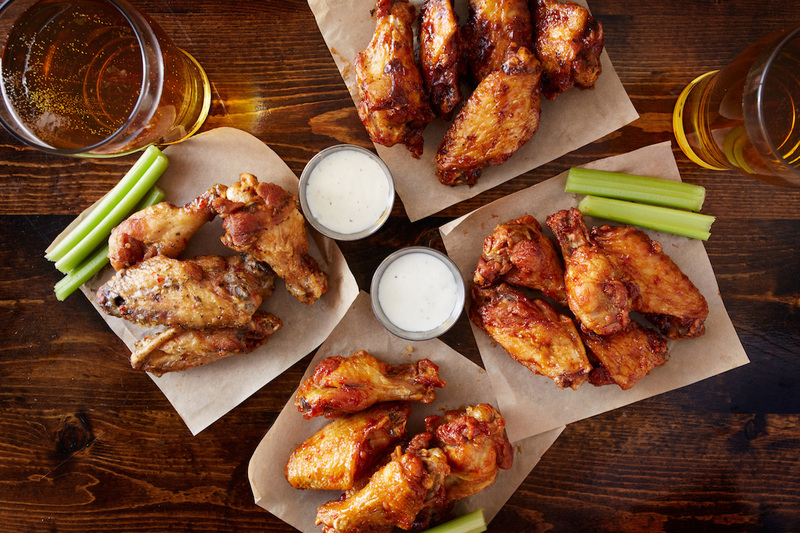 Beyond Applebee’s, there are a whole lot of appetizer deals out there. The casual dining industry is struggling, so chains are waging price wars for customers. That extends to appetizers. Buffalo Wild Wings offers $3 appetizers as happy hour specials, usually from 2 to 7 p.m. That includes mini corn dogs, garlic mushrooms and chili con queso dip. Again, that $3 price basically equals free food. Ruby Tuesday has $5 appetizer specials from 3 to 6 p.m. Yes, that includes the Key West coconut shrimp. TGI Friday’s has endless appetizers for $10 — or for $7, if you include the $3 you’ll get back from Ibotta. Chili’s has appetizer specials at the bar during happy hour, 10 starters are priced at $3, $4 or $5. Odds are good your local Bennigan’s, Bonefish Grill, Carrabba’s, Outback Steakhouse, Red Lobster or Texas Roadhouse has some kind of deal on appetizers. The best part about these happy hour specials is you don’t even have to order a cocktail if you don’t want to. These are polite, law-abiding chain restaurants. If you don’t order a martini with your appetizer, they’re not going to throw you out the door like you’re in some Old West saloon. With Ibotta, you’re earning money on something you’d be doing anyway — buying food. Browse through the cash back offers in your area, and take note the next time you go to the store — the offers change every week. Ibotta’s new app is easier than ever to use. It takes half the time to earn rebates, you can save your favorite stores, and the navigation bar is better organized. Sponsorship Disclosure: A huge thanks to Ibotta for working with us to bring you this content. It’s rare that we have the opportunity to share something so awesome and get paid for it! Mike Brassfield ([email protected]) is a senior writer at The Penny Hoarder. He’s suddenly craving some boneless wings.